The Night World by Mordicai Gerstein. My son has very little interest in picture books anymore. It’s all chapter books and graphic novels and comics. And since I no longer work in a children’s library, my exposure to new picture books has been very limited. I picked up this book off the new books shelf. I like the night and I liked the cover art so I picked this up on a whim. 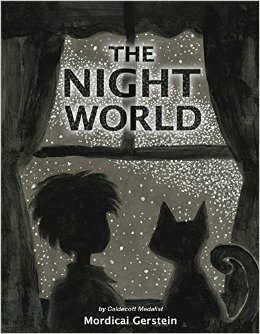 It’s a lovely book to read at night to a child, either to appreciate the purpley blacks of night or to take some of the fear out of darkness. Or to read at five in the morning as the day comes to life. The premise of this book I could immediately relate to. A needy cat decides it’s a good idea to awaken his master for inexplicable reasons. This is every single day of my life. As the child wanders around the darkened house, everything looks mysterious and different. All the color is gone, replaced with inky shadows. Slowly, the sun creeps over the horizon as the boy and the cat watch colors slowly bleed back into the world. A simple book from the Caldecott Award-winning artist/author of The Man Who Walked Between the Towers, kids and adults will enjoy the painted pages and the quick-reading story of the world coming to life every morning. I’ll be honest with you: the only reason this movie came into my house at all was because my son REALLY, REALLY wanted to see it. I don’t really know why but he seems to enjoy musicals. It was sitting on the shelf at the library and he saw it so we got it. I had very low expectations of this movie. For one thing, I’m tired of reboots. For another thing, it’s a reboot of Annie. But I have to say, this movie was not terrible. 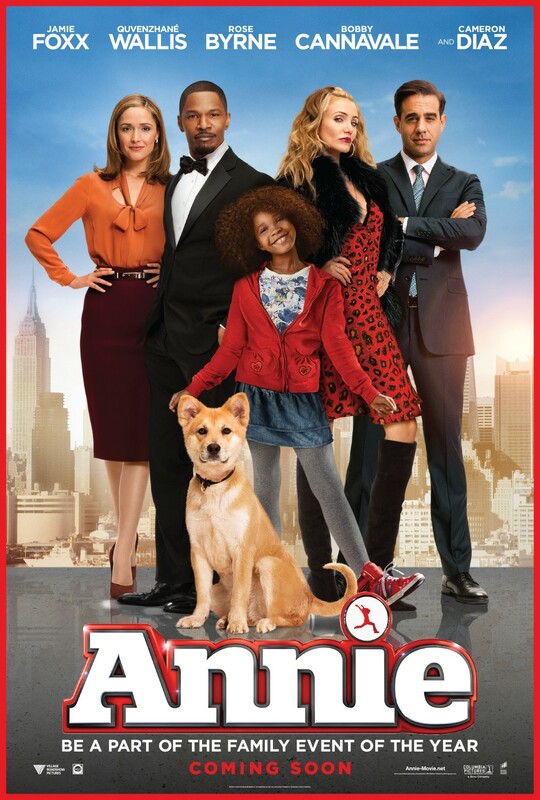 I give a lot of credit for that to Quvenzhané Wallis, the remarkable 12-year-girl who took on the role of Annie. Known for her roles in more serious movies such as Beasts of the Southern Wild and 12 Years as a Slave, I can only imagine it was a nice change of pace to do a feel-good musical starring Jamie Foxx. She takes on the role of the warm-hearted, selfless girl with aplomb and she’s pretty easy to love as a protagonist. The story is adapted to a more modern environment, moving Annie and her friends from an orphanage to a foster home and unfortunately replacing Carol Burnett with Cameron Diaz. She’s fine but she’s no Carol Burnett. And the millionaire Daddy Warbucks is updated to cell phone mogul/mayoral hopeful Will Stacks. Like so many kids’ movies these days, the main grown-up is learning that work isn’t everything and sometimes the thing that makes you happiest is right in front of your face.The least plausible part of this movie is the story of Stack’s political advisor, the bad guy who will stop at nothing to get his boss elected, even if it means destroying Annie’s life in the process. It’s your out-of-the box villain whose greed is comically inflated. Nevertheless, my kid had a great time watching this and I was drawn in despite my initial reluctance. Great family movie to watch on a weekend night. Roman shades are one of the most elegant window treatment options for any space, but I adore Romans in the bedroom because they can provide privacy, temperature control, and still allow some light to filter in. 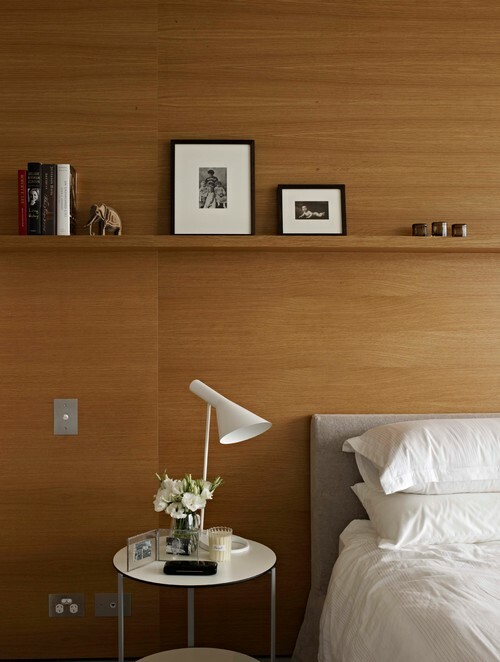 If you’re fond of complete darkness when you’re falling to sleep and waking up, you can add a layer of blackout lining, so these shades are versatile as well. Most often, Roman shades fold up accordion style and get raised and lowered by a cord on one side. They can be inside mount (hung within the window frame and allowing more light to seep into the space), or outside mount (installed over the window casing), providing more light blockage and privacy. If you prefer bold patterns, you’ll want to go with a classic –– also called a flat Roman –– to showcase the fabric. This style is simple and chic. If you have a solid fabric, you might like the hobbled Roman, which gracefully cascades in folds and makes more of a statement in your room. The European style shade is my personal favorite because it’s softer, a bit less structured than the classic style, and it curves in the center as it’s raised. Romans can take embellishments such as trims, banding, and tape, dressing up even the plainest designs. 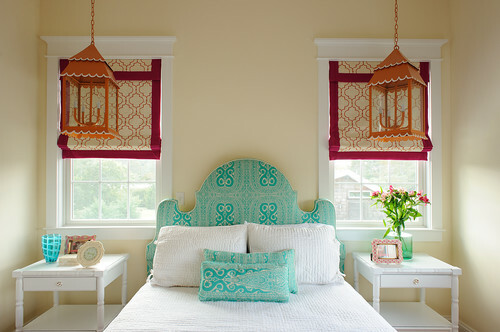 Roman shades can act as a base layer, and look terrific with draperies on top too, framing and softening your windows. 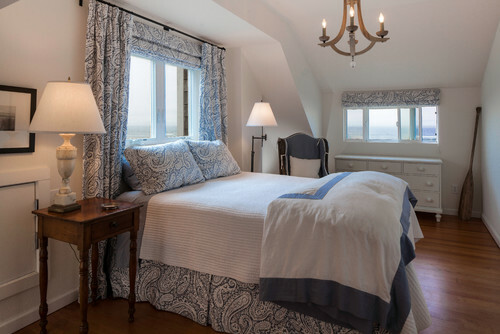 Whether your bedroom is casual, formal, or any style in between, Roman shades can be a practical yet fashionable choice to cover your windows and dress up your sleep space. Whoever first thought to pair juicy, tangy lemon with tiny, mellow poppy seeds was on to a pairing as magical as peaches and cream, or strawberries and chocolate. I was curious, and decided to do a little research. A meandering trail of interesting (yet not useful) tidbits led me full circle. The origin of lemons is unknown, although it is believed the fruit first grew in Assam (a region in northeast India), northern Burma or China. Poppy seeds (oilseeds obtained from the opium poppy Papaver Somniferum) may have originated in Mesopotamia or Sumeria. Viewing a bunch of ancient maps online left me unable to gauge the interconnected paths of these places (clearly a project for professional historians and geographers). 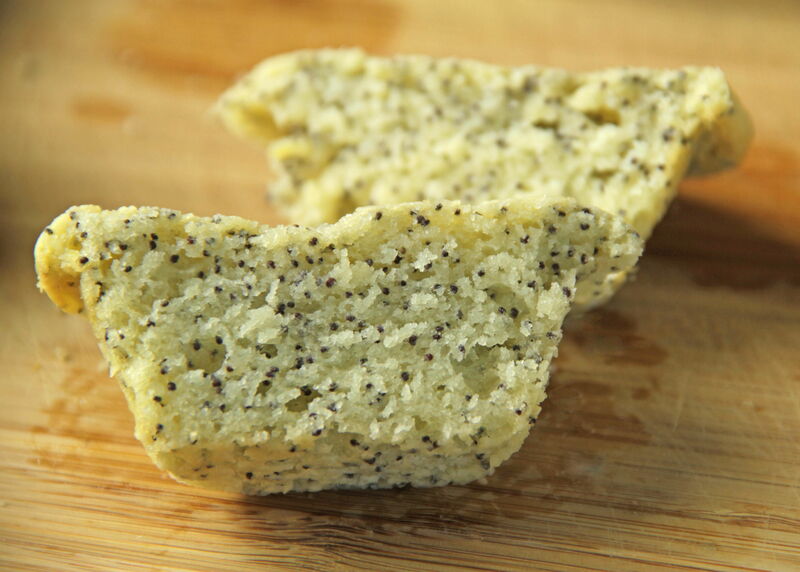 Moving on, I learned that poppy seeds (which from my amateur research I determined to be far older than lemons) have been found fossilized, suggesting that Neanderthal man may have used them more than 30,000 years ago! They have been found in other ancient sites (Sumerian and Minoan), and were mentioned in an Egyptian scroll dated circa 1550 BC. According to Wikipedia, “poppy seeds have long been used as a folk remedy to aid sleeping, promote fertility and wealth, and even to provide supposed magical powers of invisibility”. Invisibility?? At this point, I decided to give up my “research” and just trust in the magical lemon / poppy combination, perhaps even more magical than I had originally thought. 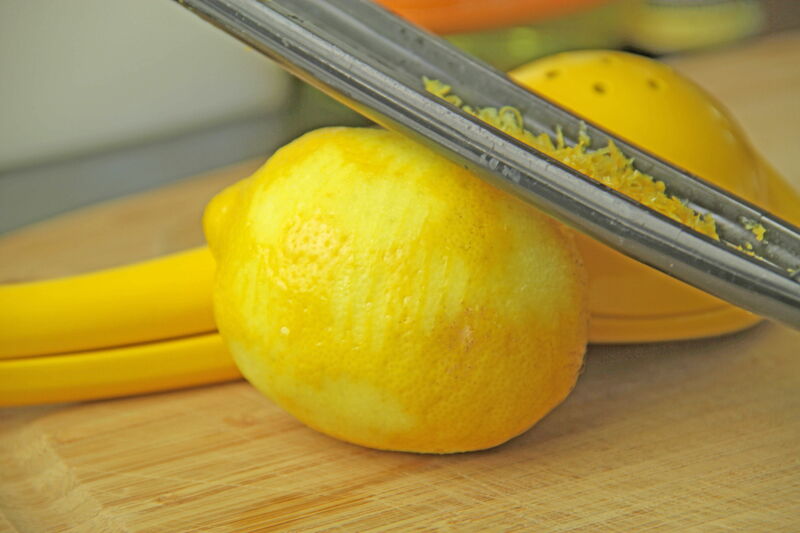 Add the teaspoon of lemon oil if you enjoy extra powerful citrus flavor. 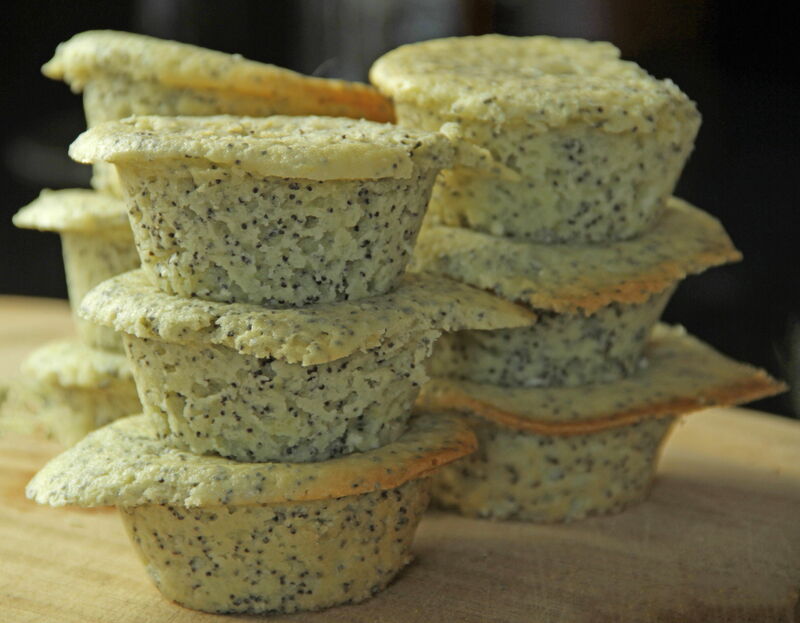 Feel free to reduce the recommended ¼ cup of poppy seeds by as much as one half for less intensity. 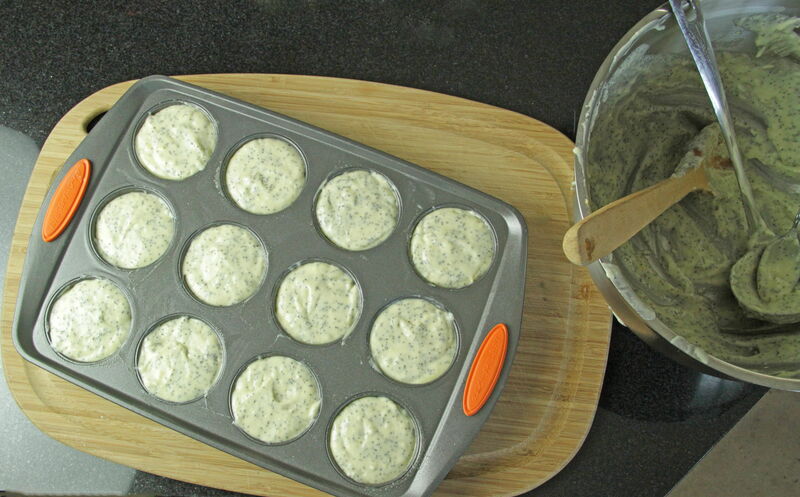 Finally, remember to fill the prepared tin no more than ¾ full of batter to avoid fallen or flattened muffins. Preheat oven to 350°. In large bowl, mix together flour, sugar, baking powder, and salt. Add milk to dry ingredients, stirring to mix in evenly. Add vegetable oil in the same manner, then the beaten eggs, lemon juice and rind, and lemon oil. 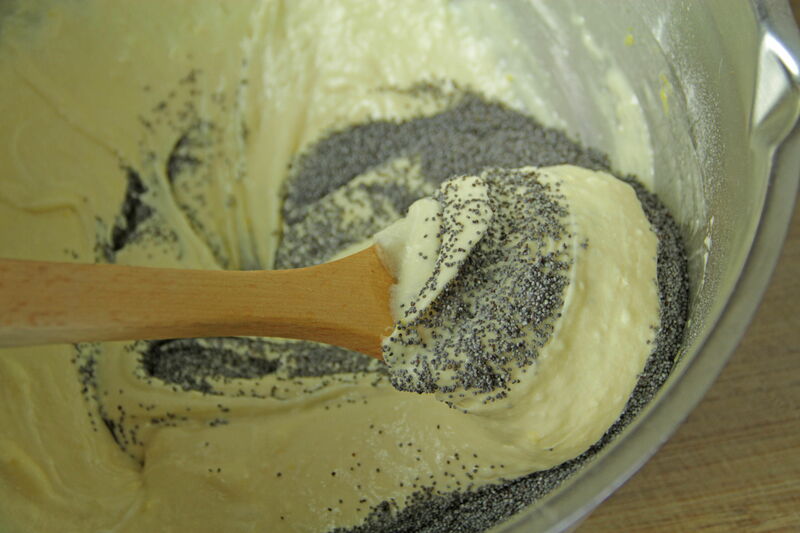 Fold in sour cream, then poppy seeds. Pour into greased or papered muffin tin. Bake for 30 to 35 minutes until lightly golden, or until toothpick in center comes out clean. Best Bedding: Down or Synthetic? Down pillows provide restful sleep for some, but for others, snoozing on down can provoke allergic reactions and even cause insomnia. Before you begin shopping for bedding, you’ll want to be sure that down will help you get a good night’s sleep. Even a low percentage of down can bring on an allergy attack. As an allergy sufferer myself, I learned that my allergies improve when I sleep on a synthetic pillow. If you like the feel of down, it’s fairly easy to find non-down pillows with a down-feather feel. Granted, any bed accoutrement lacking actual feathers won’t mimic the sumptuousness of down, but rather, be a suitable substitute, and usually provide enough comfort for a sound sleep. Down pillows can attract dust mites, which is another allergen and asthma irritant, found in bedding and households in general. If you suffer from allergies or asthma, you might consider synthetic pillows and bedding. Typically, synthetics are covered in materials that resist dust mites and allergens and come free of dyes. Most often, the maintenance of synthetic bedding is easier and doesn’t require professional cleaning, but can be laundered at home instead. 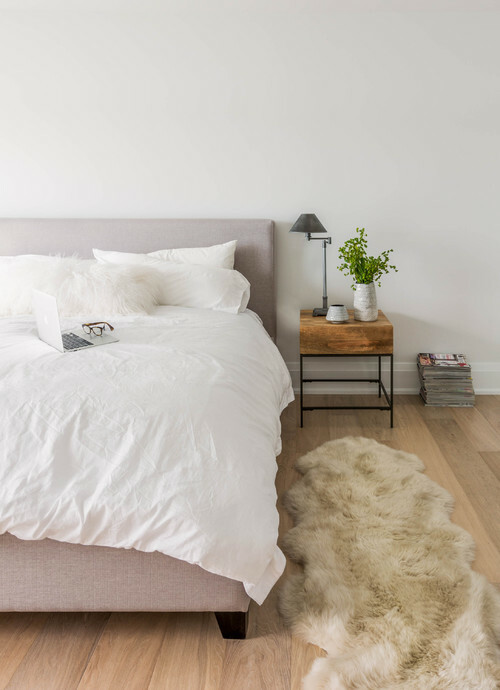 Down can also be a breeding ground for mold and mildew under the right conditions, so that’s something else to consider when choosing feather vs. synthetic bedding. Do you live in an unusually moist environment? If so, synthetic might be the way to go. 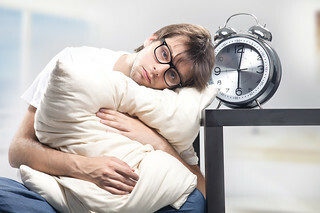 If you choose to go with synthetics, you can find any size hypoallergenic pillow and comforter. While you’re at it, select hypoallergenic mattress cover and sheets too. If you’re certain you and your family are allergy-free, and you can’t resist the feel of real down, then by all means, envelope your bed with down and sink into your feather-filled cocoon every night. Otherwise, you’re probably better off with hypoallergenic bed clothes for a healthier bedroom, not to mention night after night of restful sleep.